After more than a decade of insights, Monarch Air Group of Fort Lauderdale defined who is the usual private jet customer. What’s his most flown route? With how many passengers he usually travels with? Male or female? Age? A detailed snapshot of the everyday private jet traveler, below. 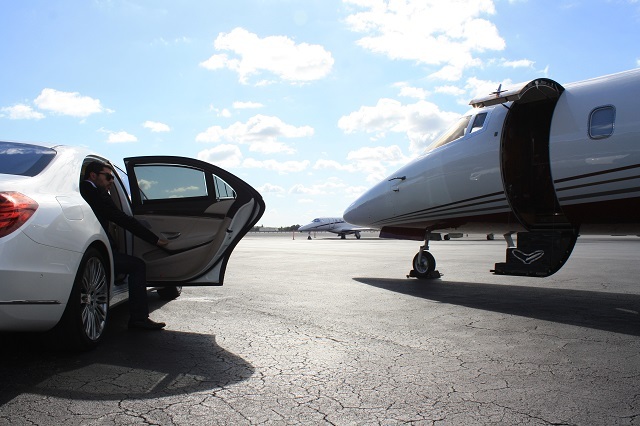 One of the myths of private flight is that luxury drives the decision to fly private. Right after that comes the notion that this service is only for the super-rich. Well, both ideas need to be demystified. Why? Because they’re false. Time is the main reason people choose to fly private. And time is possible with flexibility, or the capacity to completely tailor the flying experience. Secondly, most people flying private are not doing so on luxurious and large jet aircraft (as celebrities), but rather by choosing lighter and economical jets that go in hand with the necessities of their travel: mainly short haul routes. Short haul routes like Miami to New York, which totals almost 25% of all flights operated in a year by Monarch Air Group. A three-hour trip where chartering a turboprop is, by far, the best cost-effective decision. Sure, why not? A jet will cover the same route in only 25 minutes less and you will be getting the same private experience in a turboprop; privacy, comfort and tailored inflight service. More than three hours, and renting a jet will be a wiser decision for your pocket. Who flies on a private jet? Well, the regular private jet traveler can be defined as a mid-40s male, usually flying for business (70%) and accompanied by 4 other passengers. He uses Fort Lauderdale Executive and Miami-Opa Locka Executive airports to depart and usually lands in Teterboro Executive Airport in New York. His standard takeoff time and day? Friday at 10 a.m. EST. This mid-40s traveler usually books his private aircraft three to four days before his flight (as do 80% of our clients) and usually leaves the overall process in the hands of his personal assistant, who uses both desktop and mobile versions of the booking system. So, whenever a charter operator receives a new online booking, chances are that the personal assistant of a businessman just approved the user experience of the online booking system; this generates the necessity to directly interact with these professionals to build a long-lasting commercial relationship. You determine the departure and arrival location. You will control with whom you will be travelling. You choose the inflight service. The privacy of your flight really allows you to work. You can fly to places that don’t have commercial connections. The plane waits for you and not the other way around. Monarch Air Group, based at the Ft. Lauderdale International airport, provides on demand air charter and private jet services by utilizing aircrafts of other pre-approved operators. Among the company’s clients are Fortune 500 corporations, celebrities, the US Government, leading news outlets and air charter brokers. For information on chartering a private jet, contact Monarch Air Group at +1-954-359-0059 or price out your flight here for an instant quote.